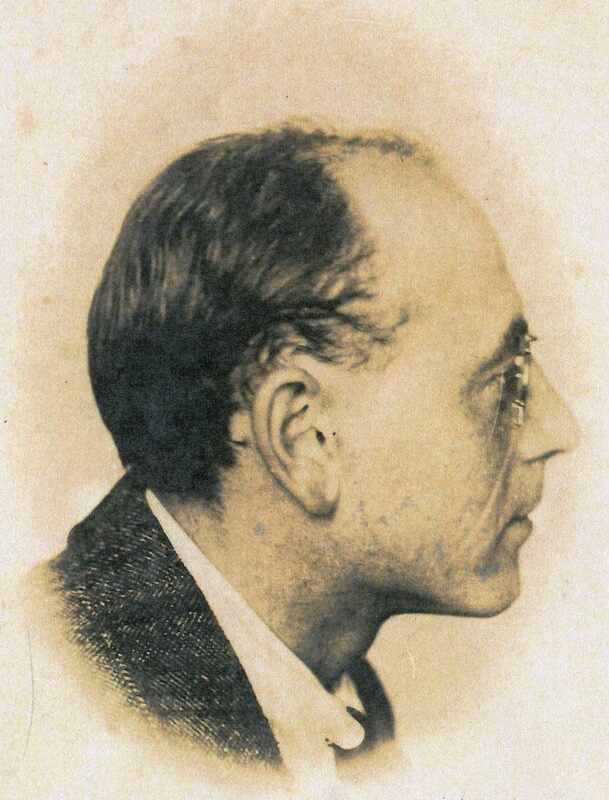 Charles Wellens. With permission of Chippenham Museum. Charles was the eldest son of a brewery owner in Lummen, Belgium, but rather than join the family business he became an artist. At 18 he studied at the Royal Academy of Arts, Leuven where he was mentored by Jos. Damien. During the invasion of Belgium 200 German soldiers passed through Lummen on 18 August 1914. After one was shot in the Market Square reprisals resulted in 63 buildings being burnt down and four civilians shot dead. The Wellens family home was destroyed along with many of Charles’ early works. It is believed he was detained but once freed fled to neutral Holland in December and then travelled on to England. 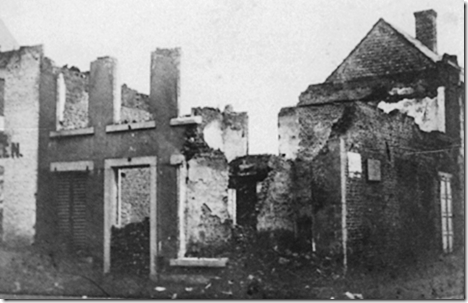 The destroyed Wellens’ property. With permission of Chippenham Museum. Unable to serve in the army due to a childhood eye injury he made his way to Chippenham. In April 1915 he showed portraits and local scenes at an Arts and Crafts exhibition in the Neeld Hall and later offered painting lessons. Determined to assist the war effort he worked in the Saxby and Farmer munitions factory. At the end of the war he returned to Belgium and in 1921 married, settling with his wife’s family in Hasselt. As well as becoming an artist of some repute he wrote about local history and promoted the creation of the Open Air Museum, Bokrijk, opened just before his death. His legacy is kept alive by a permanent exhibition in the Lummen Town Hall and the Charles Wellens Society.